Hello dolls! How was your weekend? Well I am spending it taking extra rest cause I have fever and tonsilitis (which make me worry for the little one inside). Anyways, since I'm making this post really quick, I just like to share with you another set of outfit that Paolo took while we were at Boracay. I know you've bben to Boracay a number of times but how many times did you actually go up to the Grotto? This is probably our 5th time in the island but it was my first time to be this close at the Grotto (good thing Paolo was checked in a hotel that was on Station 1) so I became very touristy and took my photos there. Anyways, I'm on my 15th week already (but I was 14 weeks = 3 months, 2 weeks when these photos were taken) and I'm so glad that I can still pull-off wearing A-line skirts and cutouts. I'm actually wearing a piece from SM GTW and I'm so surprised that I can still pull off such outfit in my condition. Anyways, hope you liked this post! Good night! Also! 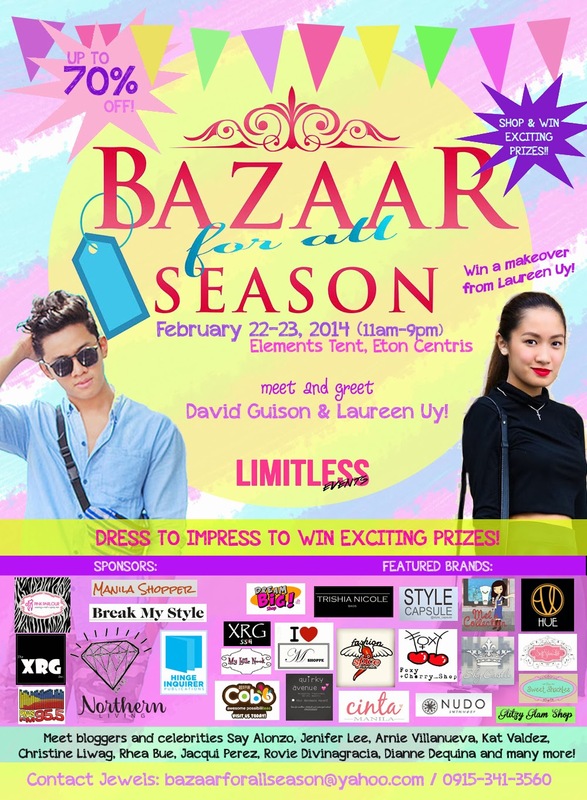 I'll be selling almost all of my clothes (that dont fit me now) on the upcoming Bazaar for All Season on Feb 22-23! So see you there! !